Born in the UK to Sierra Leonian parents – originated from the Fulani people of Guinea – Ejatu Shaw was raised in Black, British and Muslim communities in and around London, within what she describes as a relatively loosely-ruled household. 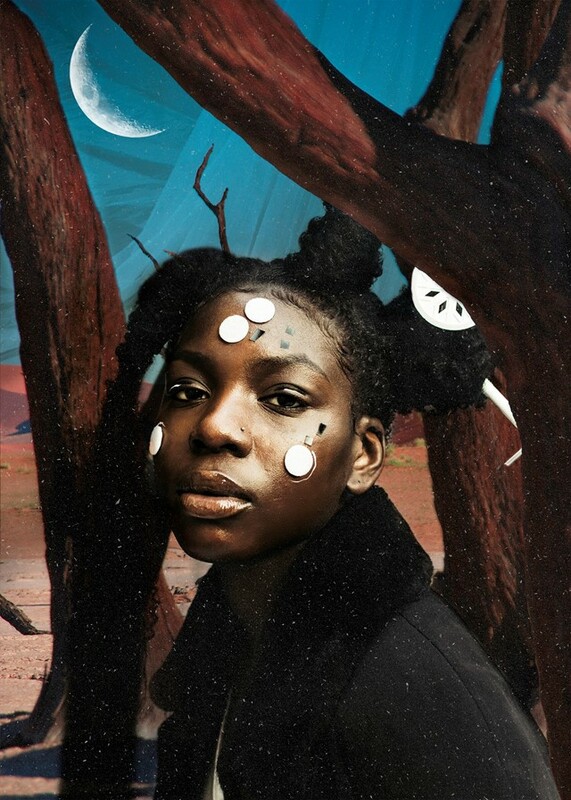 Her latest project began when she was asked by Reform The Funk to create a series of portraits that explore what it means to be a Black British, female, Muslim. But it was only while attempting to understand exactly what that label even meant that Shaw became aware of just how disconnected she felt from the term. Despite the relaxed nature of her own family, Shaw’s journey with religion inevitably had its peaks and troughs. In her teenage years, she chose to wear a hijab in a bid to connect more with her spirituality, without any external encouragement. However, the habit never felt truly comfortable for her and she soon stopped covering her hair. While researching the foundations of her born-religion for the project, Shaw found her personal beliefs flying into direct conflict with those of the community around her. The further she dug into Islam, the further she felt from that aspect of herself. And the more distant she grew from her religion, the more she wondered who she was outside of that: “I felt like there was nothing left to me once I took away all the parts I disagreed with”. Amidst this crisis of identity, the photo series acts as Shaw’s exploration of what it might mean to depart from the path set out for you by others and yourself at some point long ago. 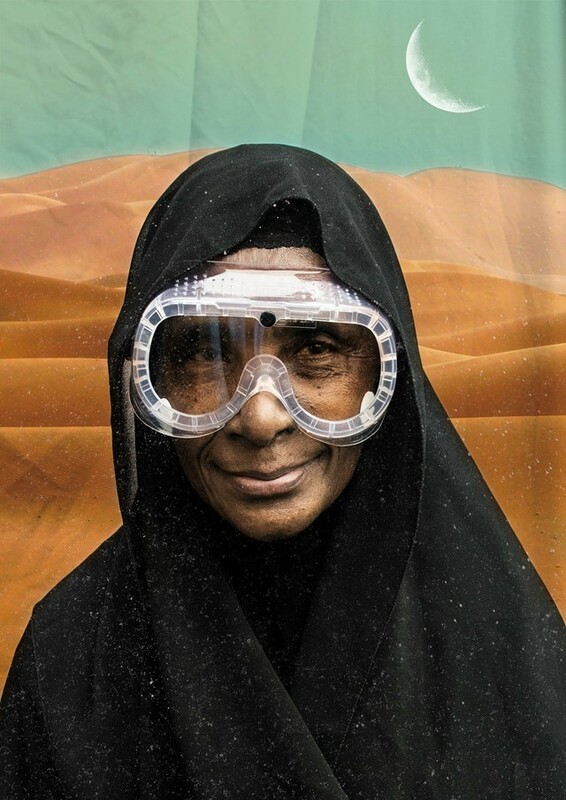 With subjects from her own family, elements of Islamic symbolism and a rich variety of colours and textures, her photography delves deep into the realms of Islamic identity and African heritage: simultaneously, a fusion of the two and a departure from both. The title of the series, Poly-, mirrors the all-encompassing nature of Shaw’s own cultural positioning – both in its actual Greek meaning of “many” or “plural”, and in the open-ended nature of the prefix itself. With named pieces playing on the boundless possibilities, such as Polyglot, meaning speaker of many languages, Polypnea, defined as rapid panting, and Polydipsia, meaning excessive thirst, the series spans Shaw’s quest for sexual liberation, the isolation of language barriers and anxiety in the face of impossible expectations, as well as much more. “Last year, I went to the wedding of someone from my community who was just 21 years old”, Shaw describes. While attending the Arabic wedding, she suddenly became hyper-aware of the pressure on herself to follow the same path as she admits, “I had a panic attack and had to leave half way through the ceremony.” In hindsight, she considers that one of the tipping points for this project and her own journey with Islam. 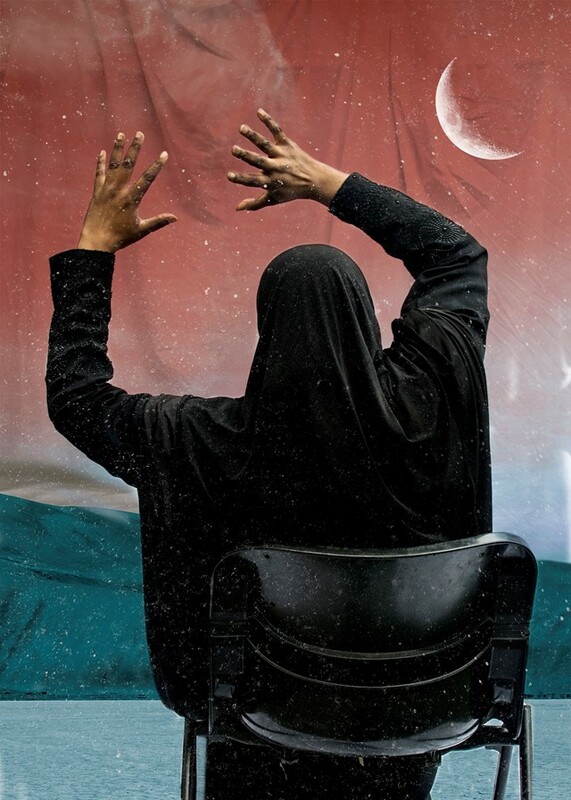 Inspired by the likes of Malick Sidibé and Nadine Ijewere, Shaw establishes her own statement backdrops set firmly within the Muslim community, under the omnipresent crescent moon. 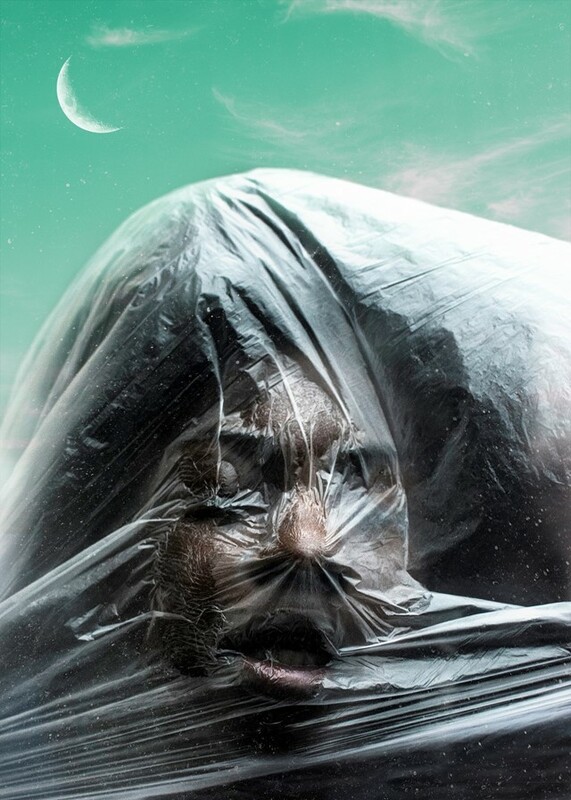 The photo series tracks her journey closely to document the levels of suffocation, experimentation, joy, and occasional power of complex diasporic identity struggles. Within the images, we see the continuous use of rough plastic in awkward proximity to traditionally-styled hair and clothing, capturing her own inner discord.